Study Highlight — HRV during sleep in autistic children – trauma. stress. autism. 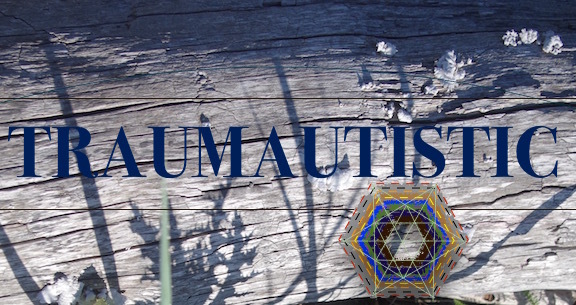 Content Warning: To help me back-up my points with other sources, I am citing sources that medicalize and pathologize autism and posttraumatic stress injuries. Please read with caution and take good care of yourselves. The article below is worth archiving. As I am only beginning to hone my fundamentals in the area of autonomics, I am sure I don’t have a complete grasp of what is happening here. But the study felt like some validation for my beliefs that autonomics are a meaningful factor in autistic experience. I am planning to work on a few primer posts about autonomics and the Polyvagal theory soon. I can’t think of a better way for me to learn than to write and teach about them with intent to introduce others to them. Until then, I still want to share research I am reading to meet my goals of curating specific research I feel is relevant to the intersections of trauma, stress, and autism. However, my ability to translate and make the research accessible will likely shift over time as I hopefully grow more confident in my ability to digest the work fully and report on it accurately. Here is a link to a full PDF of this article. Hopefully that link will continue to work. If it is not working, please let me know. compared to typical developing children (TD). effect in LF in REM different in ASD and TD. stereotypic behavior and excessive movements found in ASD can furthermore skew HR and HRV . Second, baseline conditions or tasks present a stressful situation for a child with ASD . Third, medications used in ASD can affect HR and HRV. Finally, children with ASD show reduced responsiveness of HRV during challenging tasks . One of the strengths of our work is that by recording during sleep, we were able to minimize the confounding effects of daytime anxiety on autonomic parameters. 1) They found autonomic differences in autistic children as compared to non-autistic peers. 6) Monitoring autonomics during sleep controls for daytime confounding effects of daytime anxiety. Fascinating and exciting. I look forward to the research that grows out of this study. I hope there will be much more to come. This lines up with my personal experience as an autistic person, my observations of my autistic kids, and my intuition.